A SoftBank Group Corp. subsidiary and two other firms have developed a prototype of a two-seat humanoid robot that can transform into a car for use in amusement parks, the companies said Thursday. Invoking the heroes from the “Transformers” movies, the experimental J-deite Ride can go from humanoid mode to vehicle mode in about a minute. 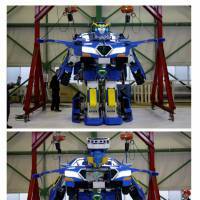 The 3.7-meter, 1.6-ton robot can lumber on two legs at an agonizingly slow pace of 100 meters per hour but go 60 kph in vehicle mode. The electric car can be driven both manually and by remote control, according to a press release from the companies. The robot was developed by SoftBank’s software subsidiary Asratec Corp., Tokyo-based start-up Brave Robotics Inc. and Sansei Technologies Inc., an Osaka-based game machine maker. 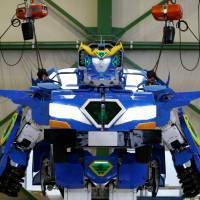 Sansei is in charge of commercializing the robot for go-carts and parades at amusement parks. 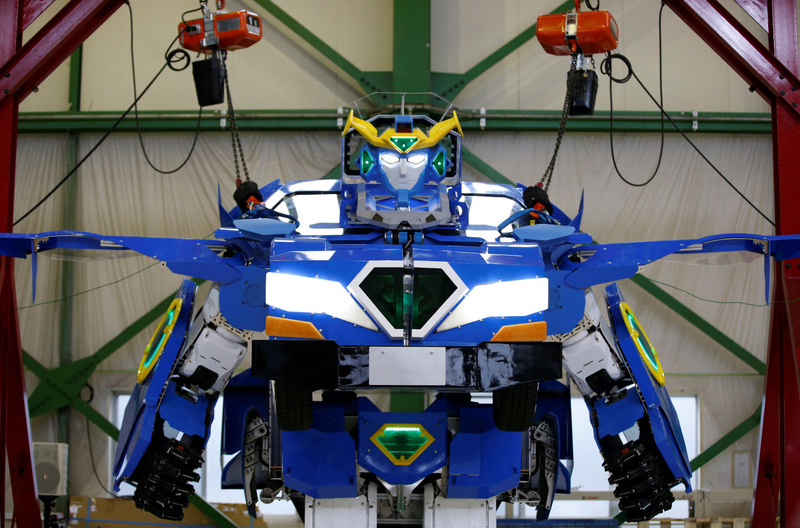 The companies plan to show off the robot on May 5 at Twin Ring Motegi, a race circuit in Tochigi Prefecture, and at the IAAPA Attractions Expo 2018 in Florida in November.